Really solid place to have a work lunch. Cauliflower salad was very good. Booked through open table for Christmas Day. 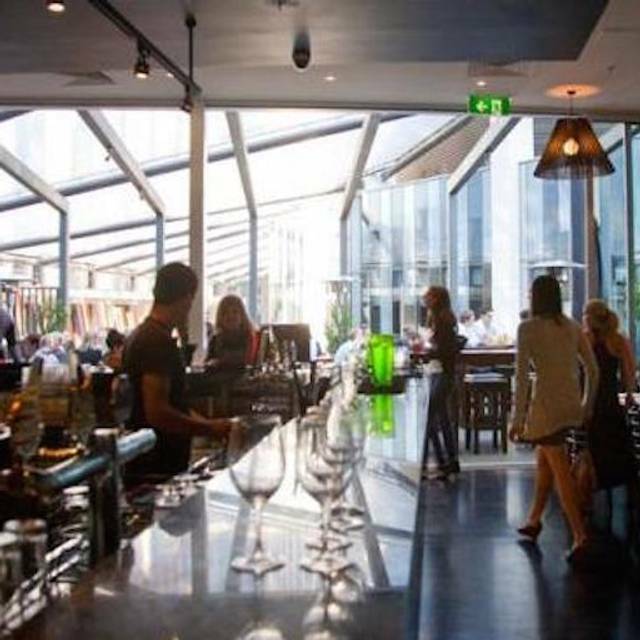 Having traveled to Melbourne arriving on Christmas Day only to find the venue closed on arrival at the restaurant. Good service good food, not crowded, very relaxed. Slate has a great view and a lovely ambience, which helped create a great atmosphere for our end of year team lunch. The food was great quality, which our whole team enjoyed. Don't take bookings on a CLOSED restaurant!!!!!!!!!!!!!!!!!!!!!!!!!!!!!! Everything was enjoyable at the restaurant and the food a highlight. Suckling pig/pork belly was best I've eaten! Italian waiters were very attentive and helpful. Shame people can smoke outside at their tables - the only downside to an otherwise great meal. This is my second time here. I'm on a diet so the kale salad I had was just enough except there wasn't enough chicken and what was there was dry. The menu labeled it roasted. I expected juicy. Possibly add a touch more of the tasty dressing as the overall salad was a bit dry. Water wasn't cold enough. Have been here a few times and have not been disappointed. Service is great and the wine reasonable. Have always been well looked after. Went all the way into the city to find the restaurant closed!! The Staff were really friendly and tentative. Food was also great!